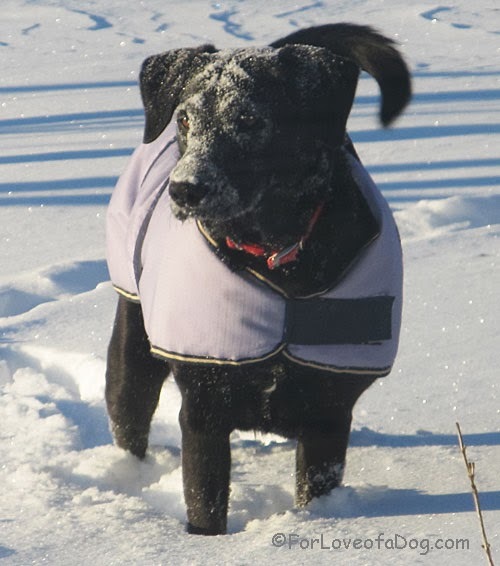 I give you one of my favorite snow dog photos of Rosie. Rosie loves any weatherperson who predicts snow! Rosie! You are beautiful in your winter weather gear!! Love the frosted face! You look good in snow! Rosie you are so well dressed! Have a Happy Wednesday! It looks like Rosie loves SNOW! She is covered in it. She looks adorable in that jacket too! I'm glad at least Rosie does!!! BOL! Love the snowflakes on your nose. Happy Wordless Wednesday from Lessons From A Paralyzed Dog. Rosie you are such a beautiful girl. I would bite the weatherman who brings me all this freezing weather. What an adorable picture! Love all the snow on her face. Such a cutie. Everyone at my house joins you Rosie! Snow is pawsome and you look great in it! Rosie - you are welcome to come by me and take all the snow you would like with you - BOL! Great photo and I'm so jealous of our snow!